The 40 assays in the Human Biomarker 40-Plex are provided in 5 multiplex panels—Proinflammatory Panel 1 (human), Cytokine Panel 1 (human), Chemokine Panel 1 (human), Angiogenesis Panel 1 (human), and Vascular Injury Panel 2 (human). The panels are optimized to achieve the highest level of performance from each assay, providing efficient biomarker screening and profiling without compromising performance. 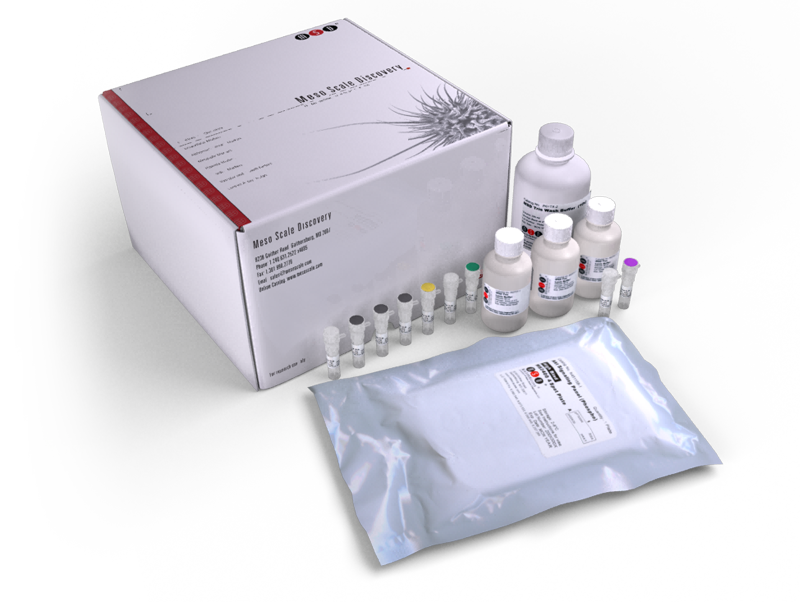 Concentrations of all 40 analytes can be measured using a total sample volume of 110 μL using the Human Biomarker 40-Plex Kit. The Human Biomarker 40-Plex Kit provides assay-specific components for the quantitative determination of 40 analytes in human serum, plasma, and cell culture supernatants.